I prefer to make stew in the slow cooker. The slow cooker does a wonderful job of softening the meat as it slow cooks. There are just some mornings when I don’t have my act together and I can’t get the slow cooker going…at the same time as packing 4 lunches and getting my little circus of testosterone out the door on time. I end up making stew in the Dutch oven and it looks just like this…(see pict above!). Hearty, thick, full of flavor and nutrition. I especially love to make this stew in the fall when they are practically giving away butternut (and other winter) squash for free. (Well, not really free…but super super cheap!) 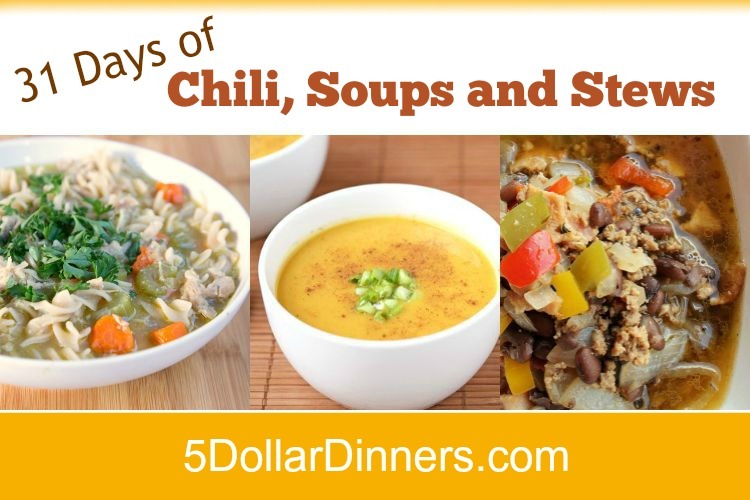 The squash does a great job of taking on the other flavors in the stew as it simmers. 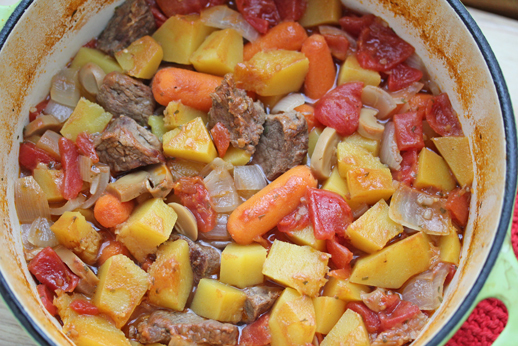 See the complete recipe for Dutch Oven Beef Stew here!